How Will Chapter 13 Affect My Debt to the IRS? 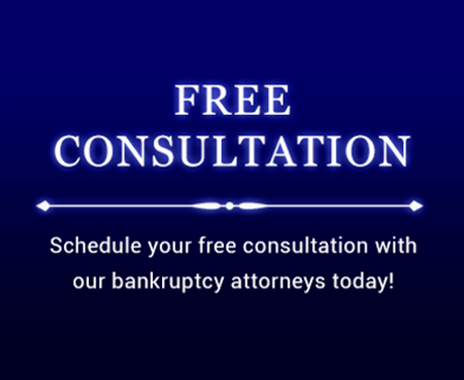 For the most part, you cannot discharge (wipe out) tax debts in Chapter 13 bankruptcy. Instead, you repay your tax debts through the life of your Chapter 13 repayment plan, which could last either three or five years. How much of the tax debt you must repay depends on whether the tax debt is classified as a priority claim or a nonpriority, unsecured claim. You must pay priority claims in full through your plan. You generally pay only a portion of your nonpriority, unsecured tax debts. In Chapter 13 bankruptcy, your nonpriority tax debt is lumped with your other unsecured debt (such as credit card debt). This debt is paid through your Chapter 13 plan after all priority and secured claims are paid. Although you cannot fully discharge this debt, you will likely only pay a percentage of your total unsecured debt through the life of the plan. This is different from how bankruptcy treats non-priority, unsecured tax debt in Chapter 7 bankruptcy. There you can discharge this debt. The debt is for income taxes. For the most part, income taxes are the only type of tax debt that is nonpriority debt in Chapter 13 bankruptcy. This means your tax debt must be for federal or state income taxes or taxes on gross receipts. The return was due at least three years ago. The tax debt must be disclosed on a tax return that was due (including all valid extensions) at least three years before you filed for bankruptcy. For example, if you disclosed the taxes in a 2005 income tax return for which extensions to file the return expired on October 15, 2006, you will satisfy the tax return due date test if you file the bankruptcy petition after October 15, 2009. You filed the return at least two years ago. You must have filed the tax return at least two years before filing for bankruptcy (having the IRS file a substitute return will not satisfy this requirement). To avoid additional objections from the taxing authority, you must make sure that you have properly signed and mailed the return, and that it is sufficiently complete to be deemed a tax return. In continuing with the example above, if extensions to file the 2005 return expired on October 15, 2006, you filed the tax return on April 15, 2008, and you filed your bankruptcy petition on October 15, 2009, the taxes won’t have non-priority status. This is because you have satisfied the tax return due date test, but not the tax return filing date text. In this scenario, you must wait until two years after April 15, 2008, or until April 15, 2010, to file for bankruptcy. The taxes were assessed at least 240 days ago. The taxing authority must have assessed (entered the liability on the taxing authority’s records) the tax against you at least 240 days before you filed for bankruptcy. This time limit may be extended if you have an offer in compromise with the taxing authority or you had previously filed for bankruptcy. You did not commit fraud or willful evasion of taxes. The tax return must not be fraudulent or frivolous and you cannot be guilty of any intentional act of evading the tax laws. If you file a joint petition, the taxing authority must prove that both you and your spouse committed an act of fraud related to the applicable return or willfully attempted to evade the tax. One advantage of Chapter 13 bankruptcy over Chapter 7 is that you don’t have to pay priority tax debts immediately. In Chapter 7 you cannot discharge priority tax debt nor can you pay it back over time through the bankruptcy. Chapter 13 allows you to pay your priority tax debt through the life of the plan. This means that you do not have to liquidate or sell any assets to pay it back right away. Since the bankruptcy court’s decision supersedes that of the taxing authority, the IRS cannot object to your payment plan once it is approved by the bankruptcy court. In addition, you can often pay priority tax debts at 0% interest over the life of the Chapter 13 repayment plan. This is a much better deal than the IRS will offer. Tax liens. Even if the tax debt is classified as non-priority, if a lien based on the debt is attached to your property, the debt is classified as a secured debt. You must pay back 100% of any secured tax debt through the life of your plan. Recent property taxes. If you incur a property tax before you file for bankruptcy and the tax was payable within a year before your filing, the tax is a priority claim. If a property tax was payable more than one year before your filing, the tax is nonpriority. Keep in mind, though, that many counties attach a lien to your property upon assessment of the property tax or one year afterwards. If this happens, the tax debt will be secured (and treated as secured tax debt, discussed above). Taxes that you are required to collect or withhold. These are taxes that you must withhold from your employee’s pay, such as FICA, Medicare, and income taxes. It also includes sales taxes that your customers pay to you and that you in turn pay to the government. Non-punitive tax penalties that relate to non-dischargeable taxes and where the transaction or event that sparked the penalty occurred less than three years before filing the bankruptcy petition. Erroneous tax refunds or credits relating to non-dischargeable taxes.